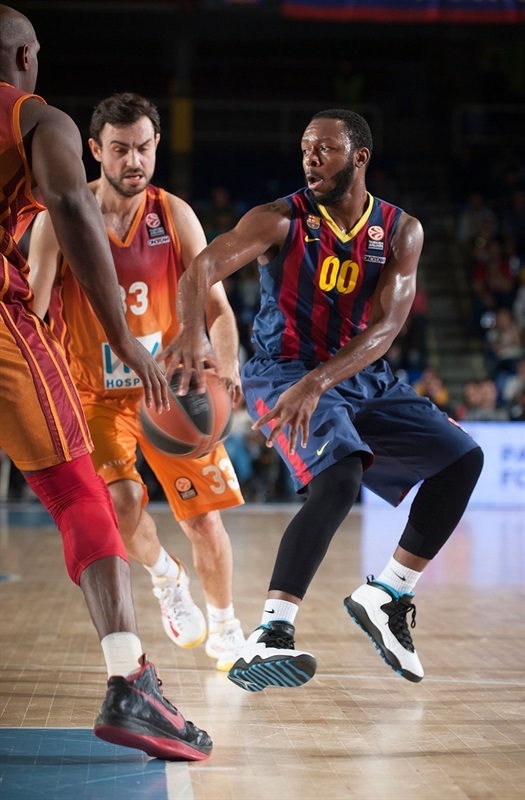 FC Barcelona moved within one victory of returning to the Final Four after downing Galatasaray Liv Hospital Istanbul 84-63 at Palau Blaugrana on Thursday night. Barcelona now holds a 2-0 lead in their best-of-five playoffs series, which moves to Istanbul for Game 3 and, if necessary, Game 4. A potential decisive Game 5 would be played again in Barcelona. 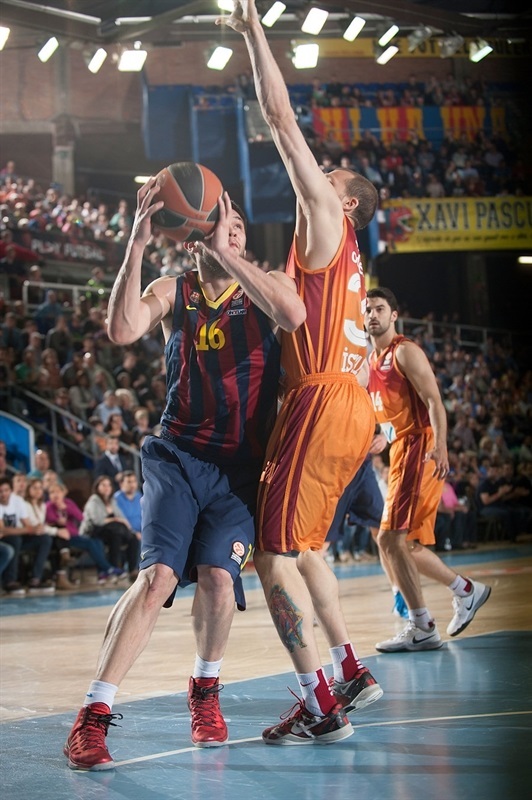 Brad Oleson and Alex Abrines combined for 27 points on perfect shooting off the bench to pace the winners. Olseon scored 14 with a pair of triple, Abrines netted 13 with 3 threes. 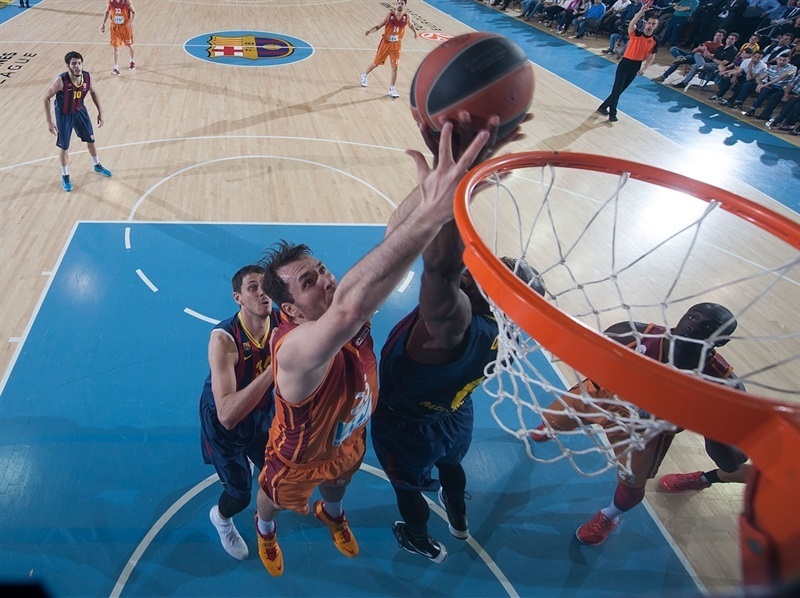 Marcelinho Huertas added 12 points and 6 assists, Ante Tomic totaled 11 points and 8 rebounds and Kostas Papanikolaou scored 10 for Barcelona, whose signature star Juan Carlos Navarro left the game in the first quarter due to a leg problem. Henry Domercant led Galatasaray with 11 points and Ender Arslan, starting in place of Carlos Arroyo, who sat out with a sprained ankle, contributed 10 points and 7 assists. 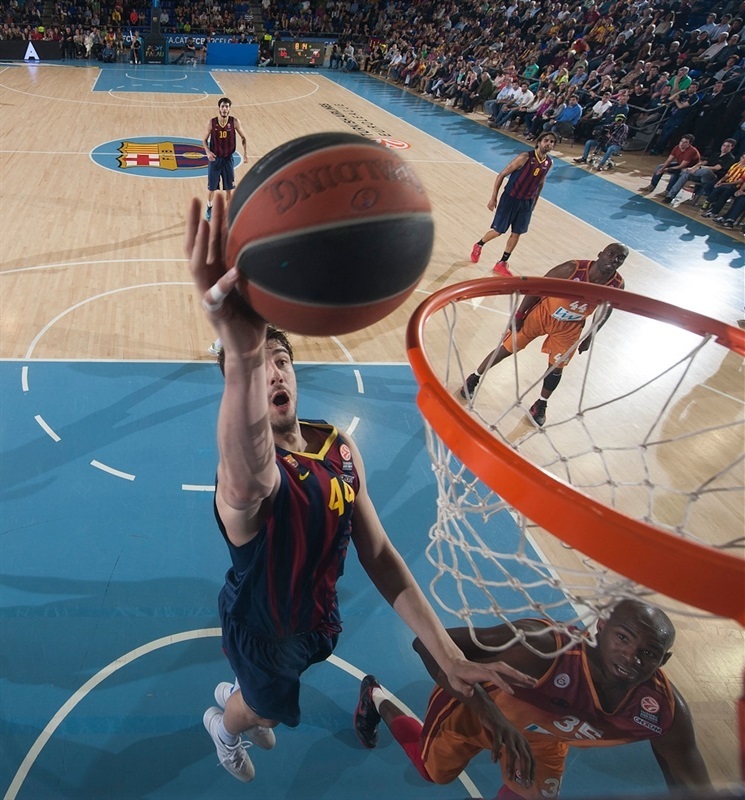 Tomic, Huertas and Papanikolaou shined early to give Barcelona a 11-6 lead. 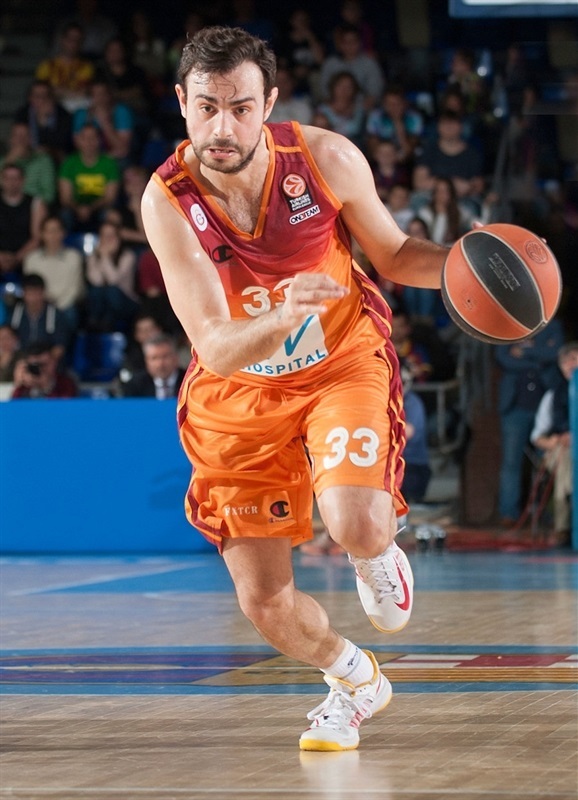 Papanikolaou and Oleson fueled a 14-0 run that broke the game open, 25-8, early in the second quarter. 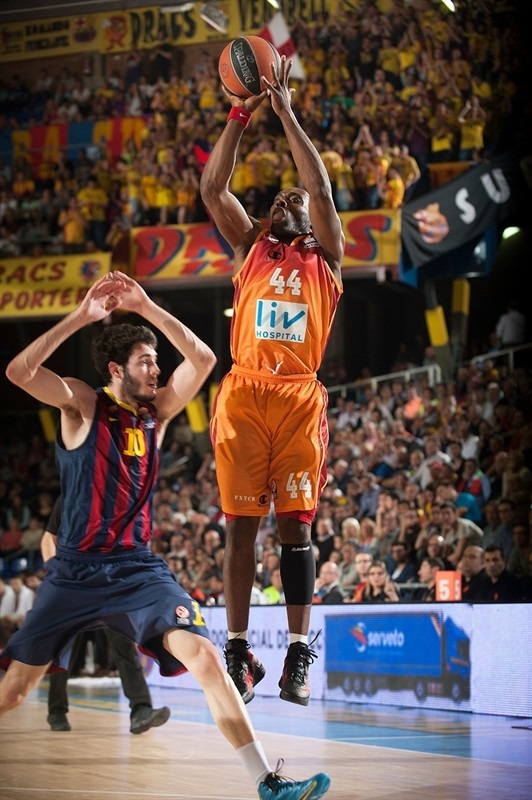 Galatasaray improved with its second unit on court, but Barcelona kept a solid margin, 43-25, at halftime. Galatasaray managed to keep the deficit in a respectable range for the best part of the second half, but was never able to put together a threatening run. Arslan, in his first start this season, got Galatasaray going with a four-meter jumper. 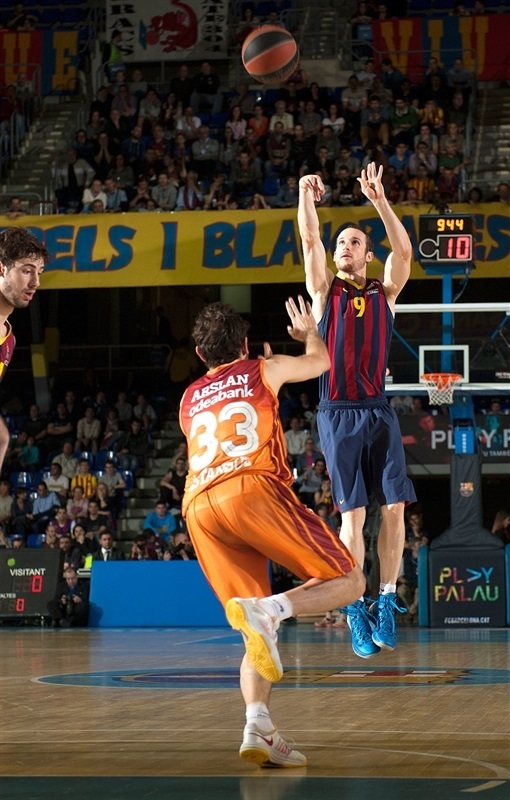 Tomic split free throws and a floater by Huertas gave Barcelona its first lead, 3-2. Papanikolaou shined with a fast break layup and Huuertas capped a 7-0 run with an easy basket. Zoran Erceg scored down low and a layup by Furkan Aldemir kept Galatasaray close. 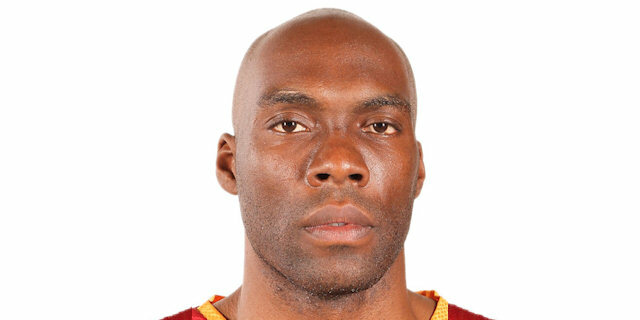 Barcelona could not get Navarro involved due to Malik Hairston's strong defense and brought Oleson off the bench. Tomic banked in a jump hook and Papanikolaou soon gave the hosts an 11-6 edge. Erceg kept pushing Galatasaray with a layup. 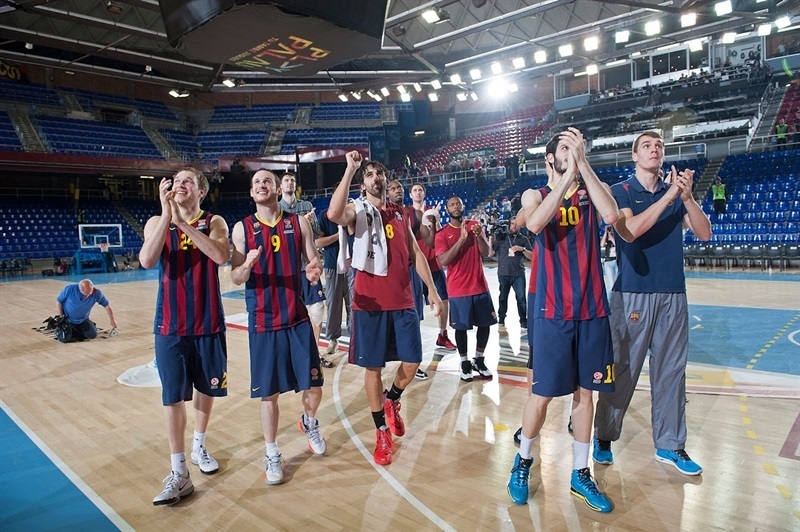 Tomic made free throws and a backdoor layup by Huertas boosted his team's lead to 15-8. 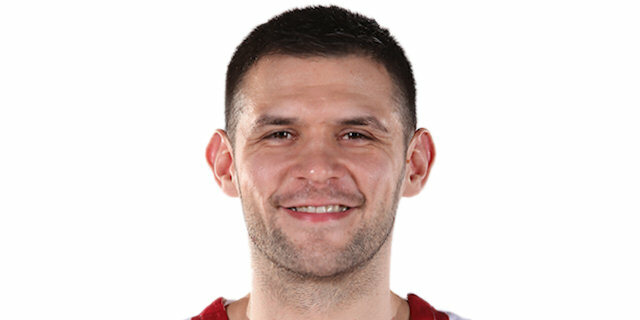 Papanikolaou finished a great team play with a layup and a three-pointer by Oleson made it a double-digit game. Another fast break layup by Papanikolaou fixed the score at 21-8 after 10 minutes. Oleson followed a close jumper with a fast break layup to cap a 14-0 run that broke the game open, 25-8. Sinan Guler and Bostjan Nachbar traded layups and a jump hook by Milan Macvan brought Galatasaray a bit closer, 27-12. Joey Dorsey ignited the crowd with a monster slam, which Cenk Akyol bettered with a three-pointer. Victor Sada shined with a driving layup, as Barcelona tried to twin point guard with him and Jacob Pullen on court. 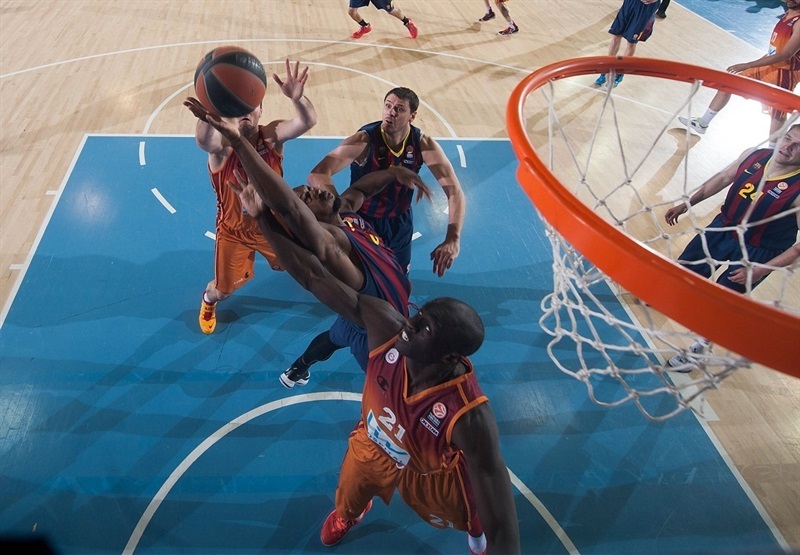 After Alex Abrines struck from downtown, Pops Mensah-Bonsu scored down low. 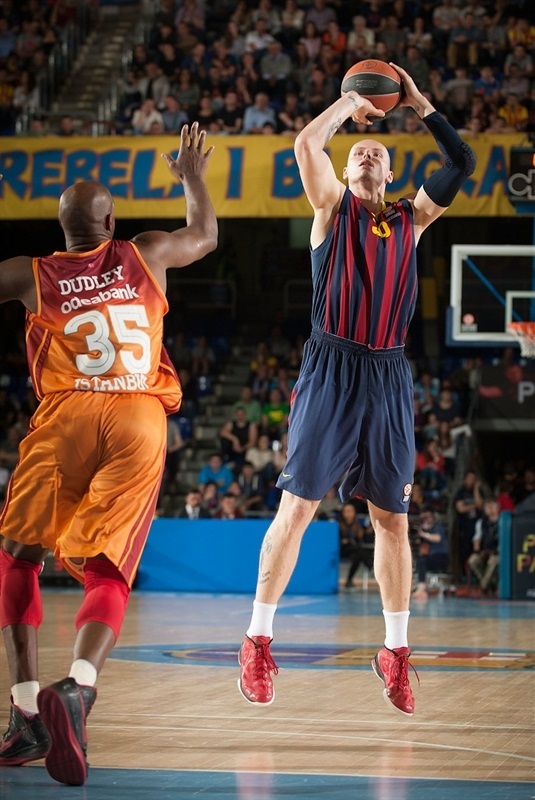 A jumper by Erazem Lorbek kept Barcelona way ahead, 36-17. Arslan hit a triple that Mensah-Bonsu followed with a jumper to make it 36-22. 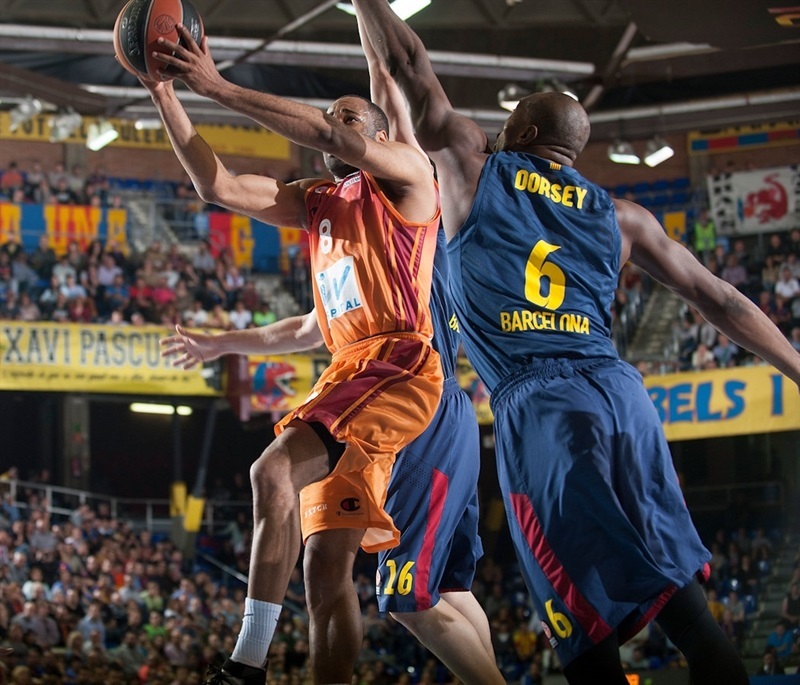 Pullen hit a mid-range shot and an alley-oop dunk by Papanikolaou created an 18-point Barcelona margin. Oleson hit a three-pointer, but Hairston dunked and Arslan kept Galatasaray within 43-25 at halftime. Both teams struggled to score after the break for almost two minutes until Aldemir stepped up with a layup-plus-foul. Barcelona missed 5 shots and picked up a turnover in its first six possessions of the second half. Huertas got the crowd involved with a three-pointer, however, giving the hosts a 46-28 margin. Erceg tried to change things with a catch-and-shoot triple and free throws by Arslan gave the guests hope at 46-33. Erceg sank foul shots which Sada improved with a corner triple, good for a 49-35 Barcelona lead. Oleson also struck from downtown and banked in a driving shot to make Galatasaray call timeout at 54-35. Macvan nailed a turnaround jumper that Abrines bettered with a triple to make it a 20-point game. Erwin Dudley and Lorbek traded baskets, before Dorsey took over with an alley-oop dunk and a buzzer-beating basket by Arslan kept the guests within 61-41 through three quarters. 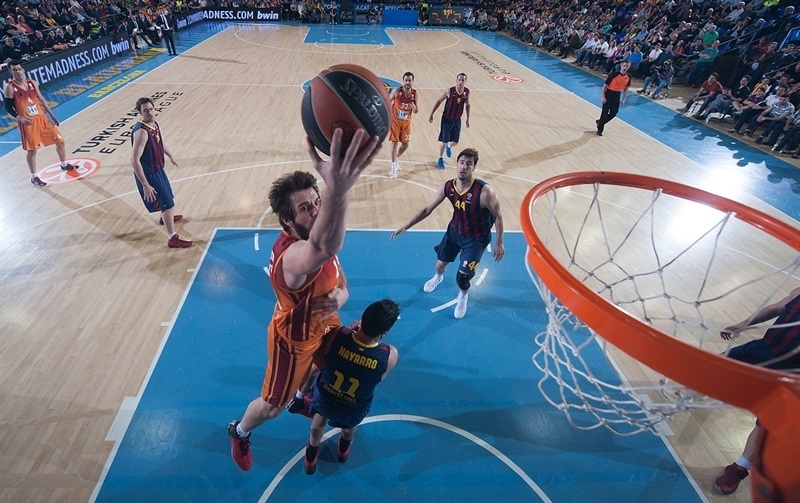 Lorbek sank a three-pointer early in the fourth quarter and a huge alley-oop dunk by Abrines sealed the outcome. Dudley scored again, but Tomic quickly answered with a put-back basket and soon banked in a close shot to boost Barcelona's lead to 70-45 with over seven minutes to go. Guler buried a running jumper that a red-hot Tomic matched with a turnaround jumper. 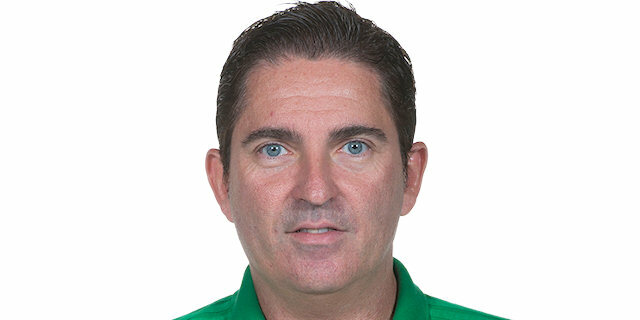 Henry Domercant struck from downtown and even after Abrines also hit one from beyond the arc, Domercant erased it with a six-meter jumper – and the free throw that came with it. Galatasaray kept fighting, but everything was said and done. "We are happy with this second win that gets us closer to our goal - going to the Final Four. We have three opportunities to win a game and make it to the Final Four, so this is a good situation. We had a better start than in Game 1, controlling our defense in the first quarter. We gradually played better on offense, but we got stuck in the first five minutes of the third quarter. Still, we have a good all-around game in general terms. Alex [Abrines] had been playing well for a while, giving us a lot when he scores and also when he doesn’t; that's very important. He is always positive. Juan Carlos [Navarro] felt good before the game, had a normal practice. He felt pain in his leg, which made me send him to the bench. We will do some tests tomorrow and will see what is going on. Having 14 players in our team, there is competitiveness to play. We chose players who can help us better depending on each moment and each game. All 14 players are really focused right now, showing that they have character in a hostile environment as the Euroleague Playoffs is. They have proved they all can play at a good level." 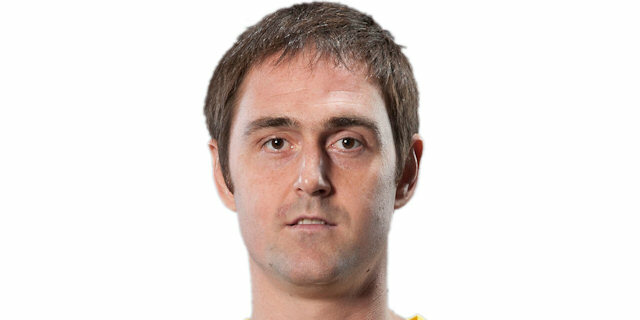 "We had some troubles in the beginning of the game, especially in three-point shooting. Not having Carlos Arroyo did not affect us; Ender Arslan replaced him and had a good game. We didn't play well on offense and that made us have a big deficit in the first half. We improved our defense in the second half and tried to stop them. Navarro's injury also helped us to do so. We lost the third quarter by 2 points and the fourth by 1 point. Obviously, Barcelona is a very good team. When you don't play well on offense, Barcelona takes advantage and this is what happened in the first half. Congratulations to them. Our medical team is doing everything they can to have Arroyo ready for Game 3. He couldn't put his foot on the floor yesterday and now he started walking. There are three more days before Game 3; he will take the final decision and if he wants to play, we will give him the opportunity to do it." "We were serious tonight. We didn’t want anything to surprise us. These are the playoffs. Every game you have to fight hard from the first minute if you want to make it to the Final Four. Still we have a long way to go. [Leading the series] 2-0 is great, but you have to take one [more] win. Then you can say that you’ve booked the Final Four. Now we’re going to play in their home and it’s going to be different. They’re going to play in front of their crowd; they’re going to have more confidence. Everybody has to work even harder. " "It was a great win. We used our home-court advantage. Now we go to Istanbul. We know they are a tough team. The fans will be tough. The atmosphere will be difficult. We have to think about ourselves and to play as well as possible. Of course we are confident after winning these two games, but we will do anything to get one more. " 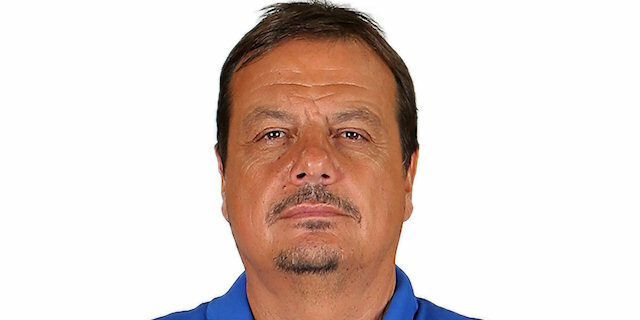 " We’re definitely disappointed with our performance tonight. Arroyo is a big part; he’s a great player and he’s our leader. We definitely missed him. But it was an opportunity for us as a team to come together and step up. We didn’t do that for a full 40 minutes. It hurts that we didn’t perform at the level that we can. " "This is a great team, Barcelona. We’ve played against some of the other best teams in the Euroleague; we’ve played against CSKA, Madrid and Olympiacos and obviously now we’re playing against Barcelona. It’s just about competing and executing your offense. They’re going to be difficult to beat, so you have to be on your game. They played great again. Now we have to go back to Istanbul, gather our thoughts and try and compete in Game 3 and in the series. "